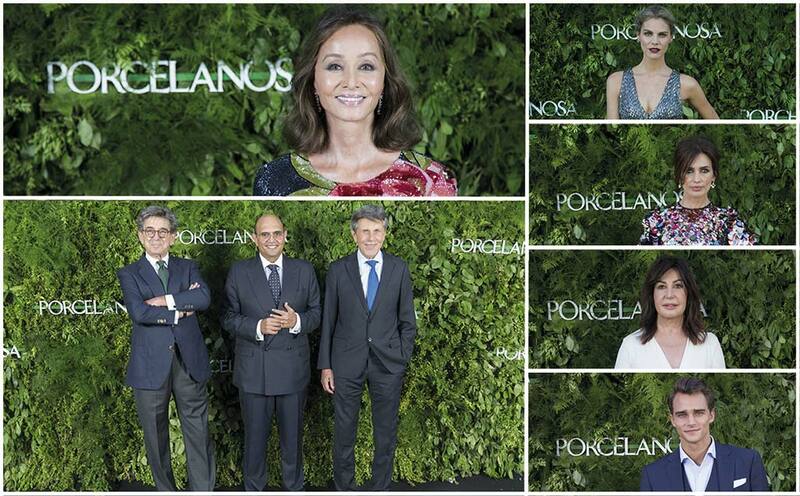 Last Wednesday, the PORCELANOSA Grupo celebrated the opening of its new showroom in Madrid, surrounded by various friends of the firm, such as Isabel Preysler, Pepe Barroso, Amaia Salamanca, Carmen Martínez Bordiú and Nieves Álvarez, along with many other invited guests who turned up to accompany Porcelanosa on this special day. The board of directors from the Group did not want to miss this important event, and on their behalf, Mr.Héctor Colonques, the president of the PORCELANOSA Grupo; Manuel Colonques, the president of PORCELANOSA; María José Soriano, the managing director of the Company and Silvestre Segarra, the executive vice-president, were all present. Located in the ‘Parque Empresarial Megapark’ in San Sebastián de los Reyes, the new showroom is set out over nearly 2000m2, in which the new exhibition concept from Porcelanosa is shown; based on more conceptual and sophisticated spaces. A showroom where one can find the very latest innovations in bathrooms, kitchens, natural materials and building systems from the firm. Porcelanosa, like so, strengthens its leadership in the sector with a new space in which one can acquaint themselves with the world of the Spanish firm which deals in floor tiles, wall tiles and luxury furniture.